One Dog Organic Dog Treats- Healthy, Chemical Free Treats that Your Dogs Will Love! - Petpav - Your Online Magazine for All Things Pet! One Dog Organic Dog Treats- Healthy, Chemical Free Treats that Your Dogs Will Love! Dog owners love to give their dogs a daily dose of food and treats. Dog Treats are a great way to keep your dogs feeling satisfied throughout the day and add a little variety to their meals. And, of course, treats are a great way to train your pups and reward them for good behavior. However, with so many treats on the market, how do you choose some that are healthy, enticing and won’t ever be recalled! Well, One Dog Organic is your answer. As with human food, you worry about feeding your dogs treats that have chemicals or are unhealthy. One Dog Organic offers enticing treats for your dog that are all wheat, corn, soy, gluten-free, organic, GMO-free and always baked fresh in small batches when you order. You don’t ever have to worry about your pup eating something that might not digest just right. One Dog Organic offers GMO-free, fresh ingredients from the USA, and make every treat by hand and baked them in small batches to ensure freshness and quality. Their recipes NEVER include chemical preservatives, artificial colors, flavorings, salt, hormones, fillers or by-products. In fact, these treats are good enough for humans to eat! All their treats are rigorously human tested for quality, and every product must receive the “paw” of approval. If your dog has food allergies, it is really hard to find them treats if your dog is be allergic to one specific ingredient. One Dog Organic has provided a way to purchase dog treats even if your dog has a very specific allergy. 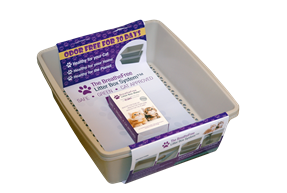 Their dog treats can be custom ordered to fit the needs of your dog. If your dog is allergic to oat flour, for example, One Dog Organic will take out the oat flour and bake treats with another ingredient to make sure that it digests well and is safe for your pet. Talk about custom ordered! Gluten-Free Peanut Butter & Honey Bones? One Dog Organic offers a peanut butter and honey recipe treat that is all natural, nutritious, organic and gluten-free, made with 100% human grade ingredients. They are an excellent source of protein as well. Honey is rich in antioxidants, vitamins, and minerals and due to its antibacterial properties, honey benefits dogs who are suffering from gastrointestinal issues. If you just can’t make up your mind which of their delicious flavors your dog might enjoy, you can select from one of their sample bags. Sometimes your dogs’ want a little variety in their lives which is why they now offer their signature recipes in a variety pack. You can select your favorite flavors from all of their delicious samples. Their pawsome pumpkin spice treats are handmade, all natural, nutritious, organic, gluten-free, and contain 100% human grade ingredients. Dogs love the taste of pumpkin which is also high in potassium, carotene, Vitamin E and is naturally low in calories. How about some great gifts for the holidays? Looking for a great gift for your friends with dogs for the holidays? One Dog Organic offers great gift baskets filled with samples of their most popular treats! 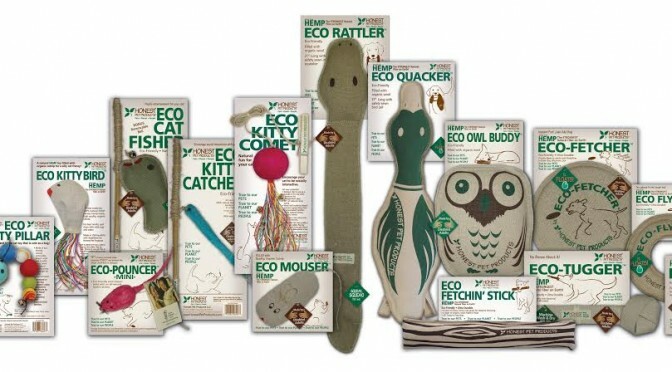 AND they are also partnering with eco-friendly businesses to offer additional products and toys for your favorite pets! There are so many reasons to buy your dogs (or your friends’ dogs) some of the amazing, healthy treats from One Dog Organic. Your furry friends will wag with joy and you will love how you’re giving your pups a healthy, easily digestible treat. Purchase some today at http://www.onedogorganic.com and you and your dogs will be happy you did! If you use coupon code REINDEER14, you can get 10 % off your order and free shipping. Veronica Glynn, founder of One Dog Organic had a cat that suddenly died of kidney failure. She and her family even fed their kitty a premium cat food that eventually made her sick! When the food was recalled due to a tainted ingredient, it was too late. The damage could not be repaired. Veronica then made a commitment to do what she could to safeguard her pets and started baking organic treats for her dog Milo and then began sharing with friends and family. The treats got rave reviews from dogs and people! What started as a mission to protect her animals quickly expanded to a business and One Dog Organic was born. Veronica understands that their products are not meant to take the place of regular food, but wanted to help bridge the nutritional gap left behind by so many dog foods and treats on the market today. Their high standards and implemented food safety protocols means that your treats will always be of the best quality and made with safe ingredients.